We all know how easily an hour can escape us. And for this reason, it can be daunting when those hours turn into days, months and years. Life goes by like greased lightning; while we live, love, and dream. Any reminder of the speedy life we live can make us want to have another look at the purpose for taking up space on this planet, or for occupying our minds with thoughts, or for wanting love or for even dreaming. But it is bound to happen, those hours, months and years will go on; our hope is to have a successful narrative in sync with the measure. But even if we don't, and the storyline is filled with waste, the fleeting nature of time is so relatable that someone somewhere will sing about it. And this is exactly what Richard Tyler Epperson has done with his latest album Hourglass. Ironically, the effort is four minutes and thirty-two seconds shy of one hour. 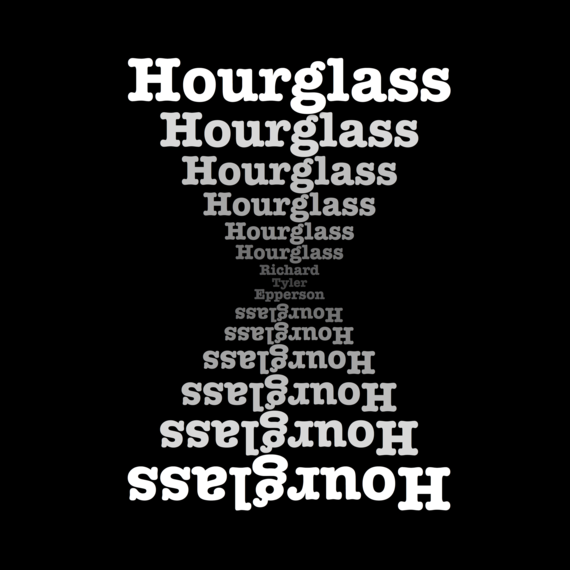 Hourglass contains fourteen tracks and is filled with conventional lyrics juxtaposed to acoustic/electronic pop rock. Although others have used the lyrics, the compositional arrangements are interesting enough to give the message a face lift. And let's face it; there was once a great Greek philosopher who said "no man ever steps in the same river twice." Who was that? Oh yes -- Heraclitus -- that's who said it. If Epperson's words seem familiar, it's because they are recognizable to all of us in a very particular way. The songs uniquely resonate because the inquiries are universal: What have I done with my life? And how have I loved? The river that Epperson is stepping into with his music speaks about places he (and we) has/have visited. The place where the fake smile no longer works even though one knows that life plays the same game over and again. The place where one realizes that life is more than the flickering of a light bulb. The place where one acknowledges that dreams and love need to be held on to before the hourglass runs dry. The album starts off with a non pretentious song "I Know" that introduces the listener to the mellow voice of Epperson and the simple structured guitar and drums complementing his vocals. It then moves on to "Hourglass" a very pleasant piece that veers into more acoustics while Epperson conveys the central theme of the album. At this point one might think, rightly so, the effort will continue on this melodious path, and it does for many of the songs, but also explores range and electronic mixtures enhanced with string and percussion variations. So one might be surprised when all of a sudden the album is thrown off course midway with "Lights" where Epperson offers a slight departure by adding to the mix some experimentation with voice and instruments. Albeit, "Lights" is the only piece that removes the effort from the even tempo thread running through this endeavor. Toward the end of the album, Epperson picks up the tempo a bit with "Blind My Life" and ends on a tender note once again with "Within My Thoughts". 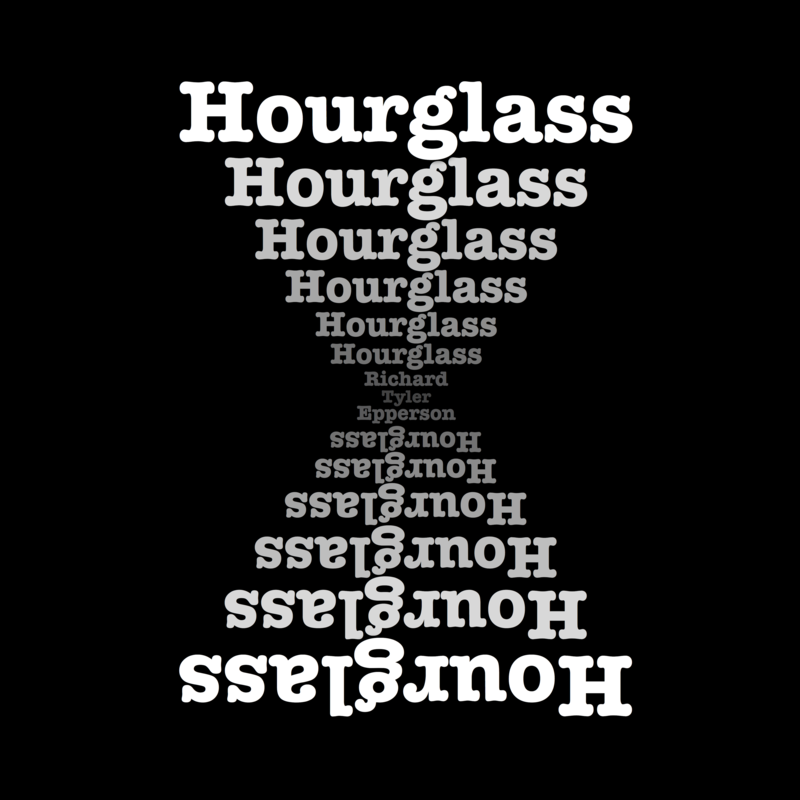 Hourglass may very well sound familiar to you. And that's okay because it may be the same river: but we all are stepping in it--in very different ways. You can stream and download Richard Tyler Epperson's Hourglass on BandCamp.